Millionaire Chess July 31st deadline coming! The Millionaire Chess Open is 90 days away! 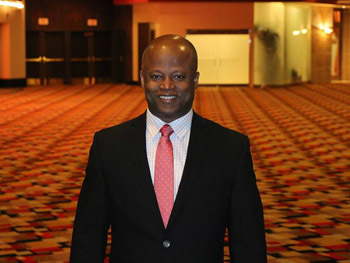 GM Maurice Ashley has put out a reminder to register by July 31st at the initial US$1000.00 entry fee. He reiterates the incentives and has planned other sweeteners such as a all expenses trip to Hawaii and a “Best Dressed” award. He has recently given a walk-through of the venue. While the number of registrants may seem unusually small given the attractive size of the purse, the word on the street is that many potential competitors are waiting until closer to the deadline to finalize their plans. With a guaranteed 318 prizes up for grabs in six sections, it’s likely that those sitting on the fence will do the math and realize that the odds of taking home some degree of compensation are clearly in their favor. One of the issues of this ambitious project has been the $1000.00 entry. With 143 entrants, the franchise hopes to attract 1500. In 2005, the HB Global attracted 1507 entrants and was Ashley’s initial blockbuster project. The Millionaire Chess franchise is an official organization looking to give a higher profile to chess and perhaps a way to attract sponsorship. There is certain a lot riding on the success of this tournament. With less than 90 days to the tournament and all our preparations in full swing, this month’s numbers will help us to better structure our event to more accurately tailor to the needs of our future clients. Chess players the world over are telling us that the Millionaire Chess Open is indeed an idea whose time has come. It’s incredible exciting to witness how many will jump in the ring and fight for their royal game. I fully support MC and I will do my best to be a part of it. However, folks have frown upon the $1,000 fee, I hope raising it to $1,500 as compared to raising it at the door, to allow players extra time to come up with the entry fee, is the best option to get people motivated to sign up. There’s probably a need for funding of course, but we’re not talking about an additional hundred buck. It is an ambitious project. The sponsorship question will never cease. It is important, but not sure how much emphasis has been put on it. If they aren’t close to breaking even by the deadline–which seems a certainty at this point–I think it is highly likely they will extend the $1,000 EF into August. Of course they can’t say that in advance, since they are no doubt hoping the looming deadline will lead to a rush of late-July registrations.